Die hard hockey fans Elliot Hall and Brian Hardy flew from England to Toronto to take in a few Leafs games with fans outside in Maple Leafs square. They had no idea they were about to be given two tickets and a plane ride to Boston for game 2. Their reaction is so genuine, you can’t help but smile. Plus our Leaf page gets the mosts views on the website…. and I am an attention whore….and it’s playoff time. UHHHHHHHHH so many page views! Chris Rooke, aka "Rookie", is a blogger and producer for the Dean Blundell brand. 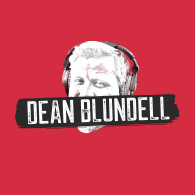 Rookie is the producer for "The DeanBlundell.com" Podcast and CannaCast , "The Chirp With Daren Millard" and “Unfiltered with Matthew Barnaby”. Sometimes the boys let him speak as well. He previously spent time working with the NHL Network, CTV and HighlightHub.